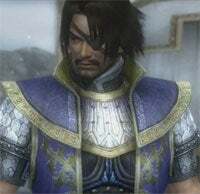 Dynasty Warriors 6 for the PC isn't scheduled for stores until November 18th, but those with a little bandwidth to spare can download a 320MB demo of the game today via the nice folks at Filefront and Fileplanet. The system requirements for the game are relatively modest, with the PC version sharing more in common with the PlayStation 2 version than the more resource intensive PS3 and Xbox 360 versions. You'll need at least a 1.6GHz Pentium 4 with a 128MB video card, and honestly if you don't have those you're probably not too concerned about PC gaming. Hit the jump for the full system requirements, or click the links above to snag the demo now.